I get emails all the time from people asking my advice on how to start a blog, and I always feel a little surprised. Like, me? I’m not an expert! 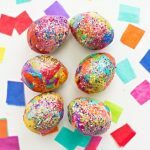 But after four years of blogging I’ve had a TON of growth this year and decided to share what I know with you all! So you want to know how to start a blog. First of all, I’m so excited for you! Blogging has been the biggest constant (outside of marriage and family!) over the past four years as we’ve moved three times, flipped three houses, changed jobs twice and started a small business. Wow. 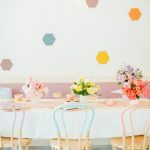 Blogging isn’t only a creative outlet for me, it’s a way to connect with people and learn a ton. In short—I absolutely love blogging. I think you will too. Let’s get started! This process involves a (very small) upfront cost. Of course you could get a free blog through blogger.com or something, but if you have any interest whatsoever in earning income from a blog, or making a professional-looking one, you really need to be on WordPress.org. It sounds complicated, but I’m going to walk you through it! Trust me, it’s a tiny upfront investment that will pay itself off 100 fold! Ask yourself what you want to blog about. There are a million topics under the sun and a million different ways you can explore them! What are you passionate about? Are you wanting to start a blog for friends and family documenting your kids’ growth and other family things? Are you really into cooking and want to share your passion with the world? Maybe you are obsessed with fitness and really eager to help others become healthy. Whatever it is, find your topic. Obviously I have many passions, so I blog about home renovations, crafts, recipes and travel. 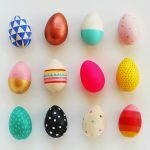 Find your thing (or two or three!) and use that for the next step. Choose your name. Your blog’s name that is. 🙂 If you are going to blog about cats and funny cat memes, then maybe don’t call your blog I love Paper or something. If you are going to share photography tips, then find a name that reflects it. Once you have your name set, you’ll want to purchase a domain for your blog. 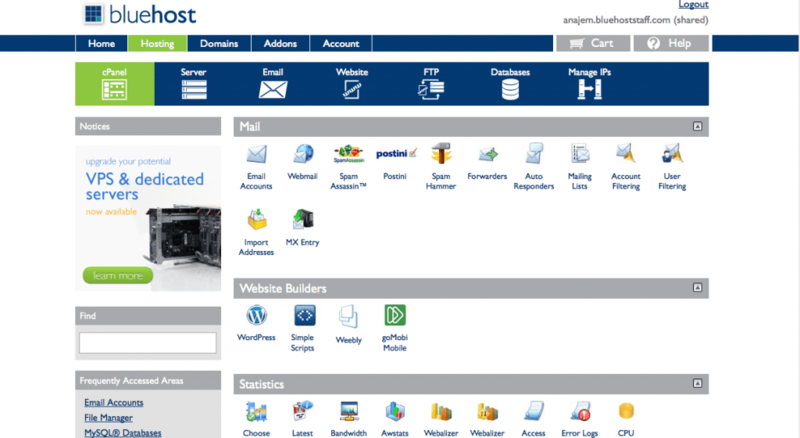 Bluehost is the best place to both purchase your domain and host your blog. I have used them the last four years and have been really happy with the service! I’m an affiliate with them and often get great deals to pass along to you all. 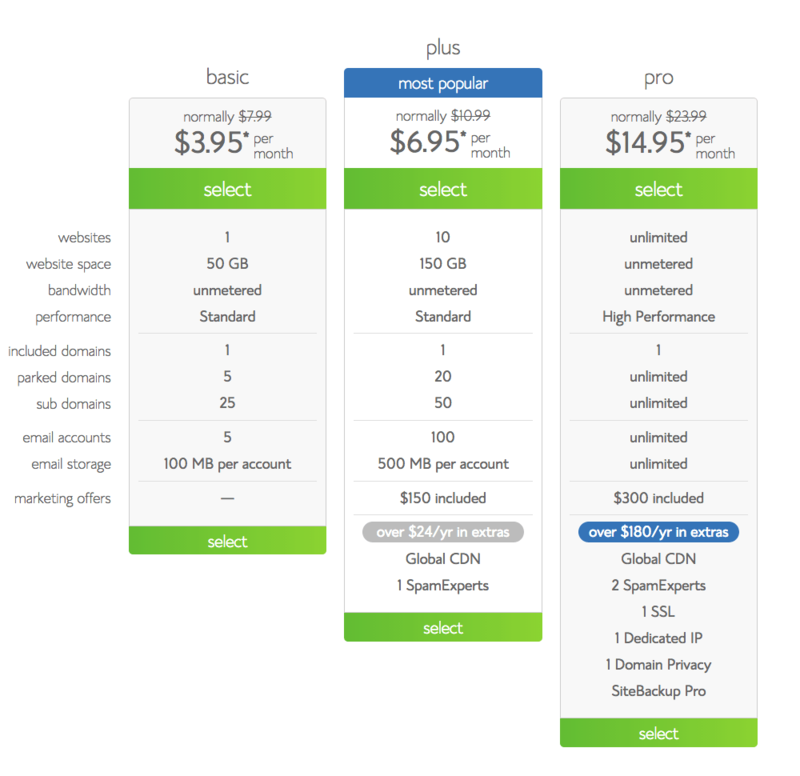 Once you have your name selected, you can get hosting for as little as $3.95 a month right now, which is awesome! Click here for that special. Choose your plan. Once you are on that homepage you can select which plan you want. I’d recommend starting with the basic or the plus—the pro option isn’t necessary for most people. You can always upgrade later! 🙂 The $3.95 deal, which you can find through my link, HERE, is seriously awesome! It includes the domain you picked for FREE (This will save you serious $$$). It also includes 24/7 support and 1-click WordPress install which is CRUCIAL if you are technologically uninclined like I am! Set up your account. You’ll see the screen below where you can enter the domain you chose earlier. 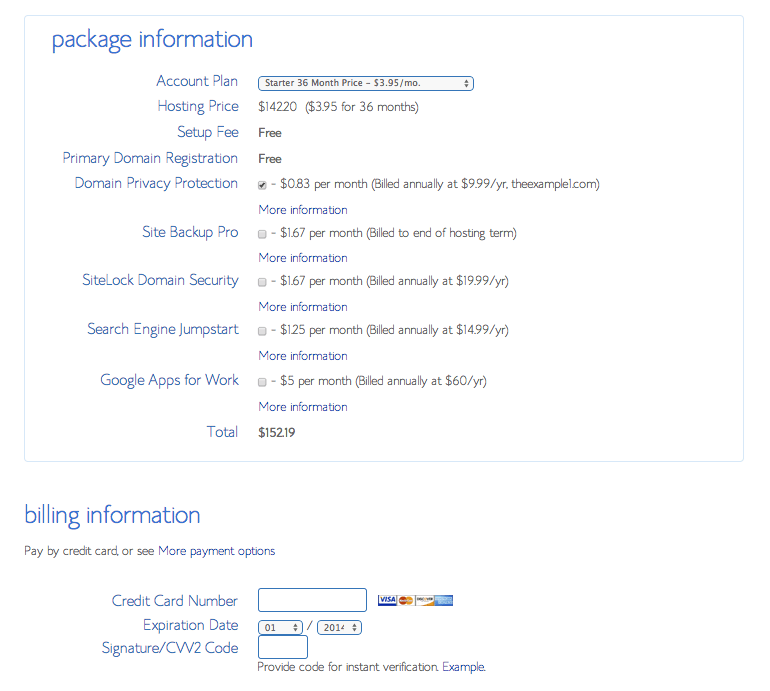 If you already have a domain name you purchased through someone else, you can put it in the box on the right hand side. The next screen you’ll see will look like the one below. Fill out all your information and make your selections. I recommend purchasing Domain Privacy Protection which will keep your name, address and phone number private. Definitely worth $10! 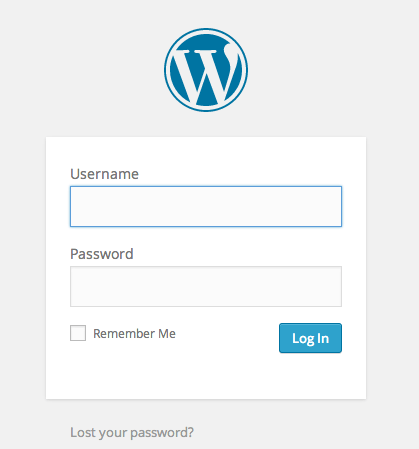 Set up wordpress. 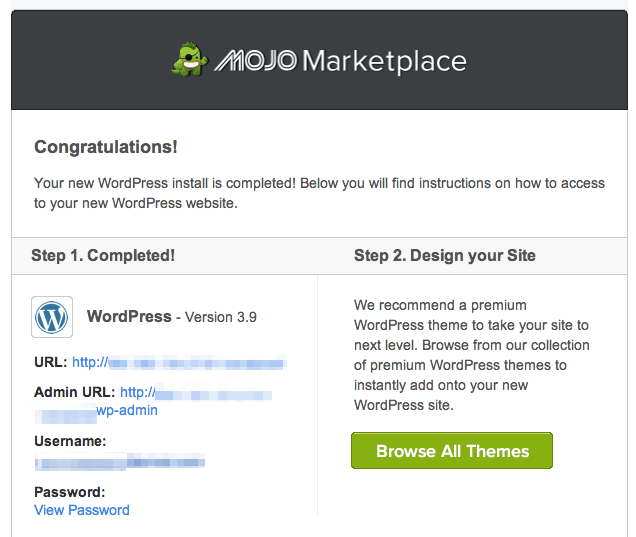 Thanks to Bluehost’s one-click set up, this is SUPER easy! Click on the hosting tab at the top, then select cPanel. 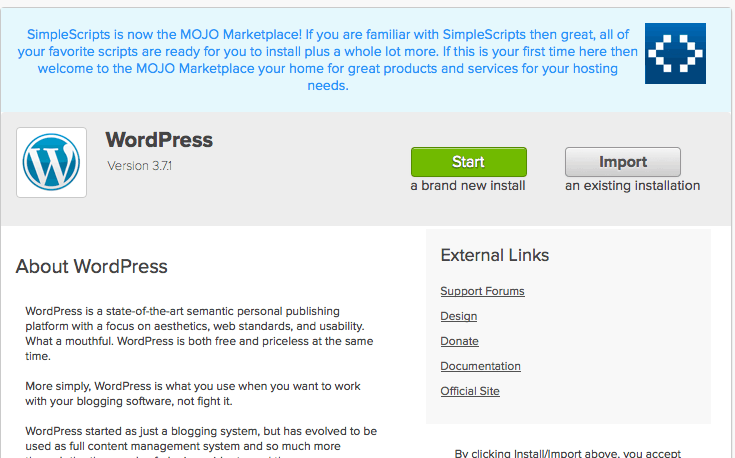 Scroll down to the “website builders” section and choose WordPress. Then hit the big green button that says START (on some versions it says INSTALL). 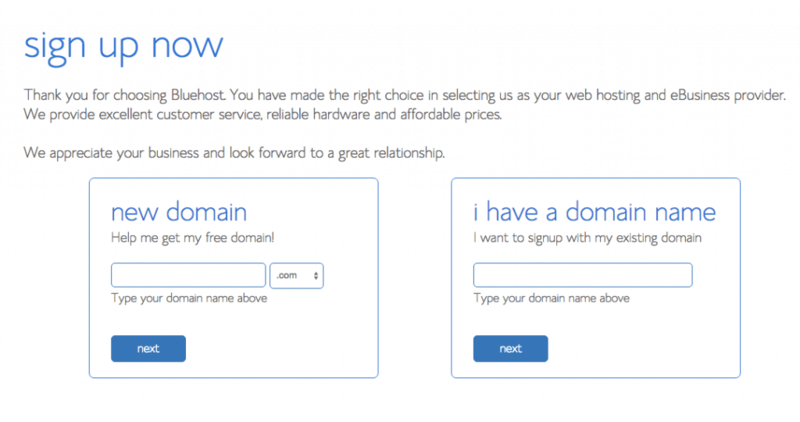 Next, you’ll choose the domain you purchased earlier from the drop down. This is the last step! The next screen is where you agree to the terms and conditions (you can skip the advanced options unless you want to see them!). Then finally, you get this triumphant box! Make sure you click “view credentials” and write down your user name and password! Make it gorgeous. Okay, THIS is the fun part! 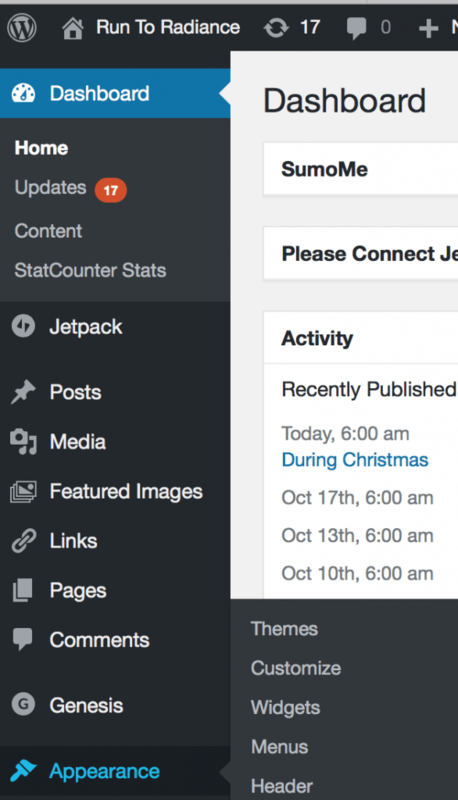 Here’s where you get to customize your blog and make it look exactly how you want it! Log into your site by going to www.yourdomainnamegoeshere.com/admin. It will look like the screenshot below—this is where you put that user name and password you wrote down earlier! Once you log in, you’ll see your dashboard. Yours will look a lot cleaner than mine since you’re just starting out! Scroll down and click on the word “appearance”, then select “themes”. You can choose from the themes included and customize colors and so on, but I recommend adding on a premium theme. I use the GENESIS theme. It was recommended to me by so many bloggers and web designers—it’s the only one I’ve ever used! 🙂 It costs about $60 but it allows you a ton of customization and widgets, which I use ALL the time! Since customizing websites and designing isn’t my jam, I decided to buy a pre-made design for the Genesis framework from a designer on Etsy. It cost me about $50 but it was worth every penny! I used that one for several years until I got a custom re-design (the one I’m using now!). Start writing! Tada! 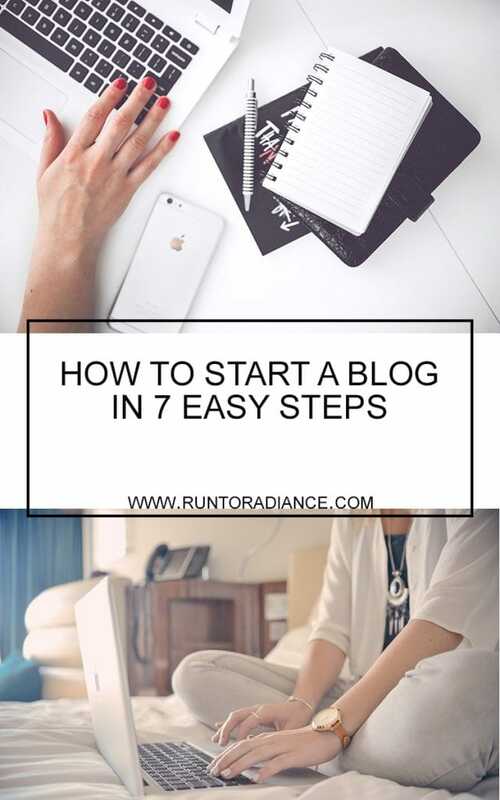 You have officially learned how to start a blog! The sky is your limit! I’m so excited for you. The first post is always the hardest (mine was awful, but it’s okay), just sit down and write something, even if it’s just “hello world!” and hit publish. You’re a blogger now. 🙂 Welcome to the club! 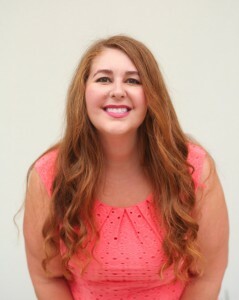 If you are a new blogger, I’d love to read your post and send you a virtual hello! Leave your link below and let’s be blog buds. <3 And, of course if you have any questions, leave them below as well! Becoming a professional blogger is not going to happen over night. However, someone who has drive and is focus will find it a lot easier to build a blogging career. This is something fr me and my family to take into consideration. Thank you for all of the helpful step by step tutorial on how to become a blogger. I wish I had more confidence in my abilities to do.